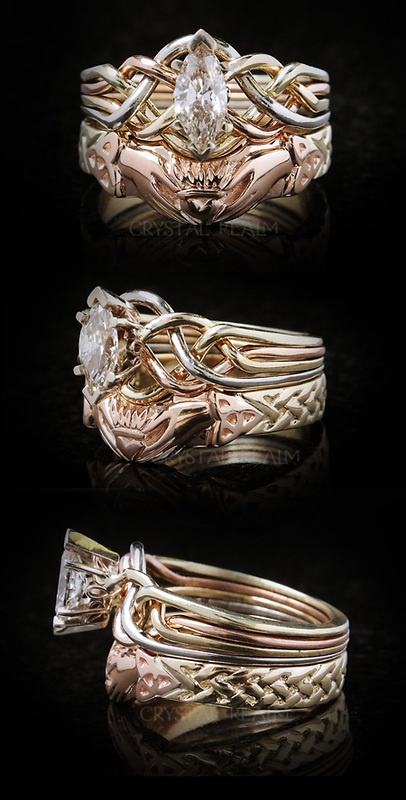 In October of 2015, Crystal Ream suddenly and unexpectedly lost the very talented wax carver who did the hand-waxes for our shadow wedding rings that we pair with Celtic-knotwork inspired puzzle engagement rings. Fortunately, at the time, he had been able to finish all but one of the orders we had in house. We auditioned several wax carvers around the country, and one of them was able to produce the one in-house claddagh band order for our customer. 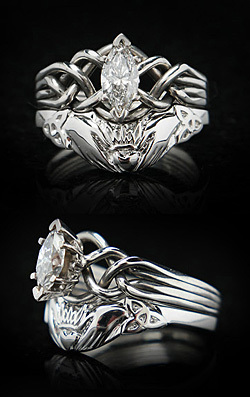 It took us over a year to find her and get the ring made, and our customer was the soul of patience during that year. But sadly, she took a job with a jewelry store that required her to sign a non-compete agreement, and she was not able to do any more work for us. 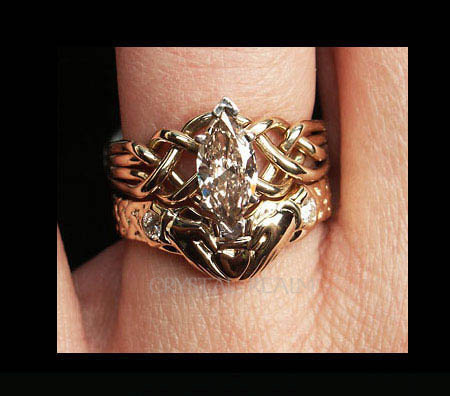 Since then, we found wax carvers who were able to do our simple 2mm shadow bands and our diamond shadow bands, but we have continued to search for a talent capable of doing the claddagh bands that our clients love so much. Today is a happy day! Tom and I met with an artist right here in our home town of Albuquerque, NM, who showed us an audition piece he had done in which he replicated one of our claddagh shadow bands. Wow! It was fabulous. 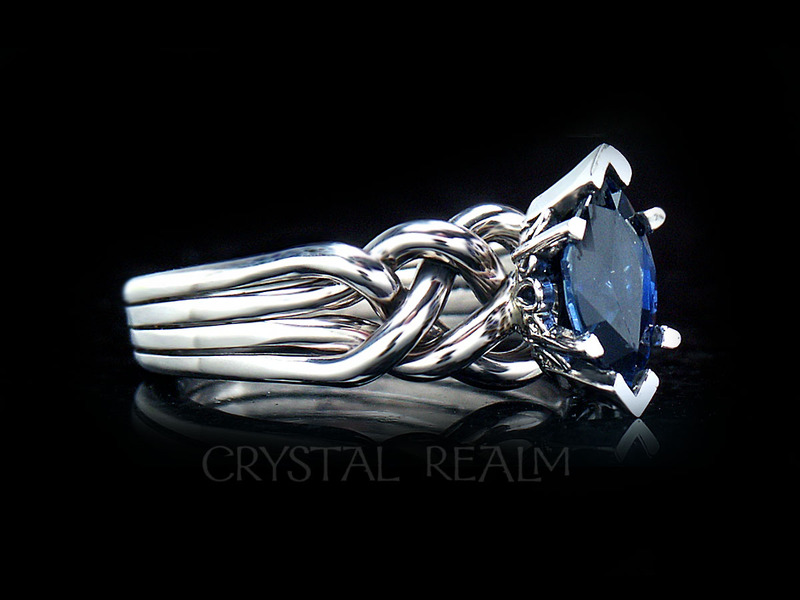 Here are some of the Celtic wedding rings that we have done. 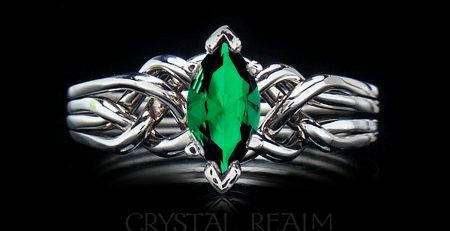 The good news is that, as of today, these Celtic bridal sets are all available, so please contact us, if you see one you wish to order. 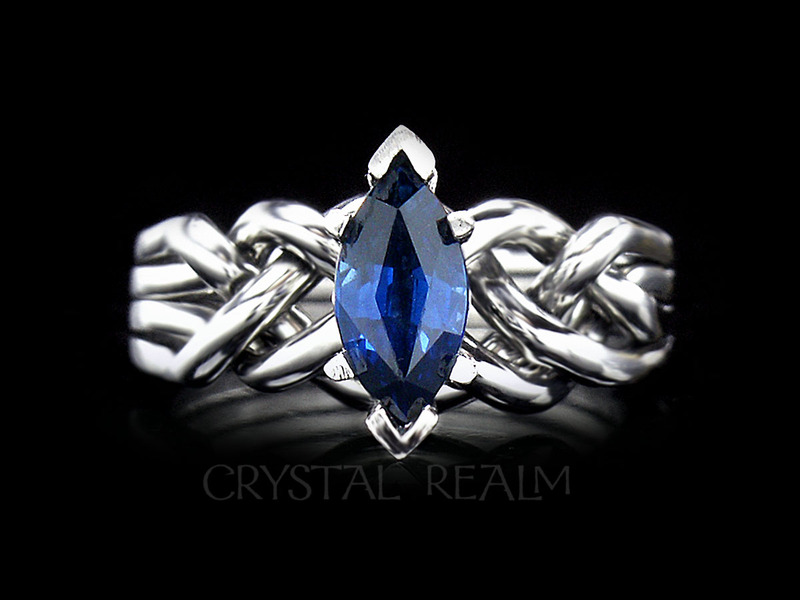 Please note that we can make any of our puzzle engagement rings with a shadow band, so if you love the Guinevere, the Athena, or the Avalon, or the marquise as shown below, do not hesitate to ask for exactly what you want. 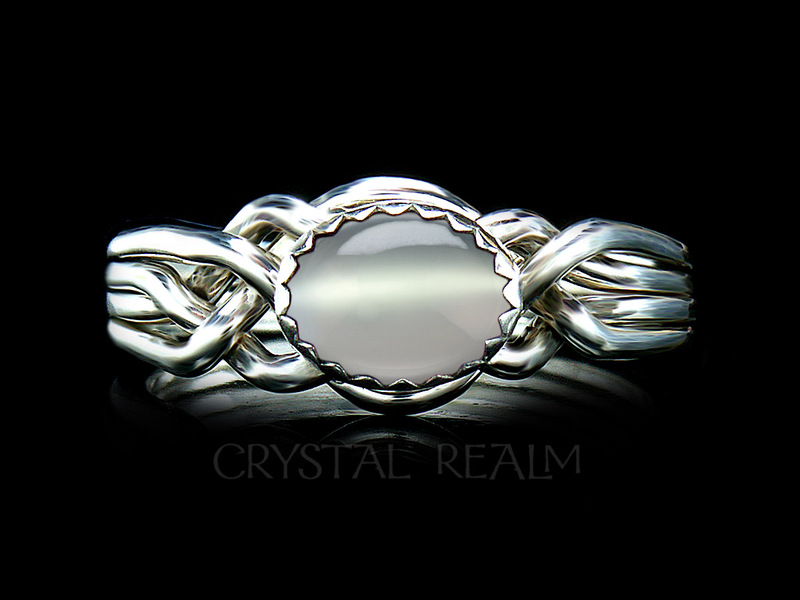 If you want a shadow band with your puzzle engagement ring of any style, we will weave the engagement ring with an open weave, so that it will fit best with your wedding ring. 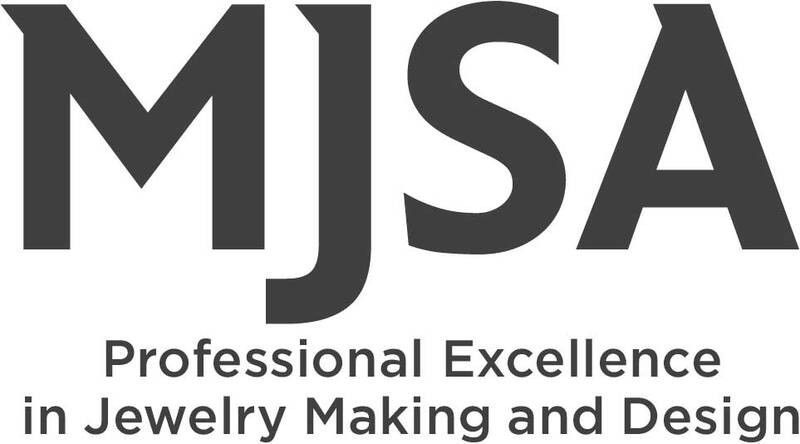 You may also choose a colored gemstone or a diamond for the engagement ring. A one-carat marquise diamond, four band Celtic-knotwork inspired puzzle ring with a Celtic claddagh shadow band set with two 6-point, round diamonds. 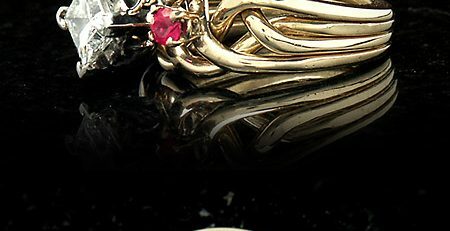 Shown all in 14K yellow gold, and available in your choice of gold color, combination, palladium, or platinum. A Celtic-knotwork inspired, marquise diamond, four band puzzle ring is hand-woven with three colors of 14K gold: rose, yellow, and green along with palladium. 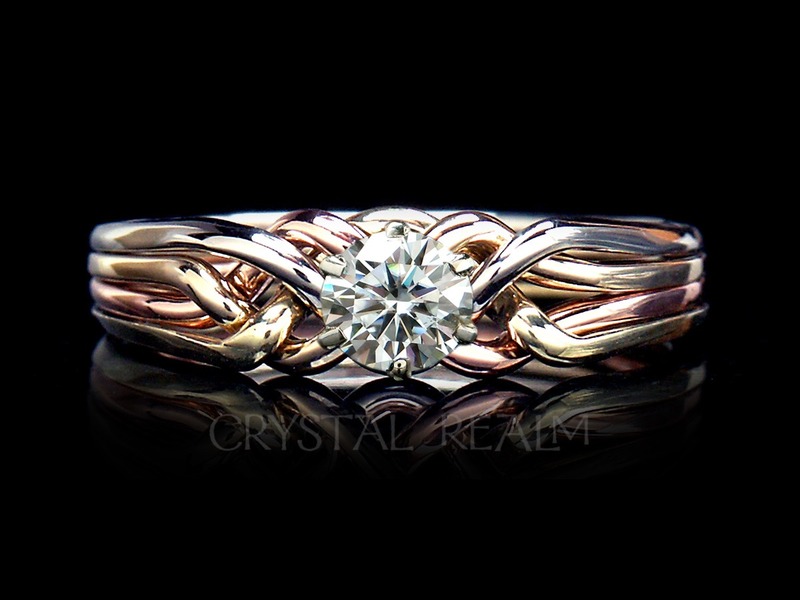 It is paired with a two-tone, Celtic claddagh wedding ring made from 14K rose gold and palladium. 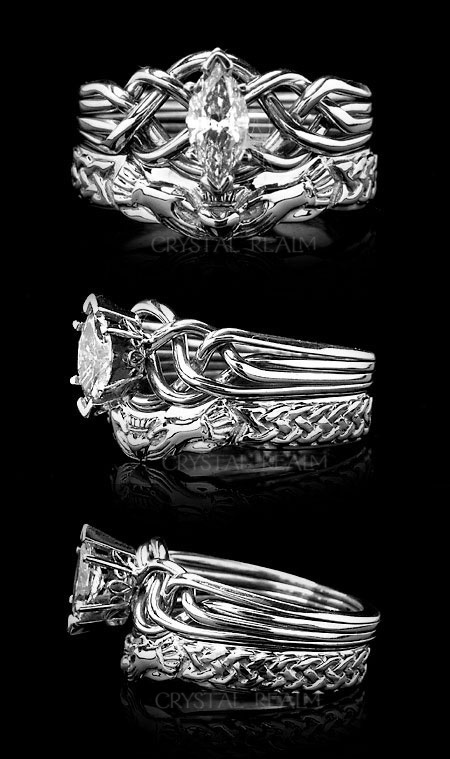 A four band, marquise diamond puzzle ring is paired with a Celtic claddagh shadow wedding ring accented with trinity knots, all in palladium, and available in your choice of metal and diamond size or shape: marquise, round, or princess-cut. 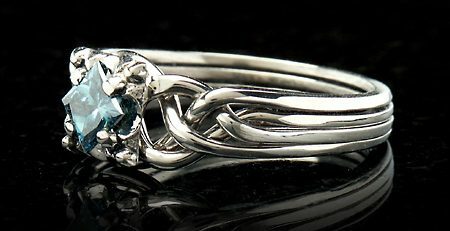 A four color, four band, puzzle ring is set with a marquise diamond and paired with a two-tone Celtic claddagh band with knotwork around the shank.